Summer is over and…that was kinda underwhelming. But now we’re in a period of transition. We’re getting the Summer latecomers, the early Oscar contenders and some of the smaller movies that can get their foot in the door now that the bigger films are starting to leave multiplexes. Let’s dive right into September 2016! 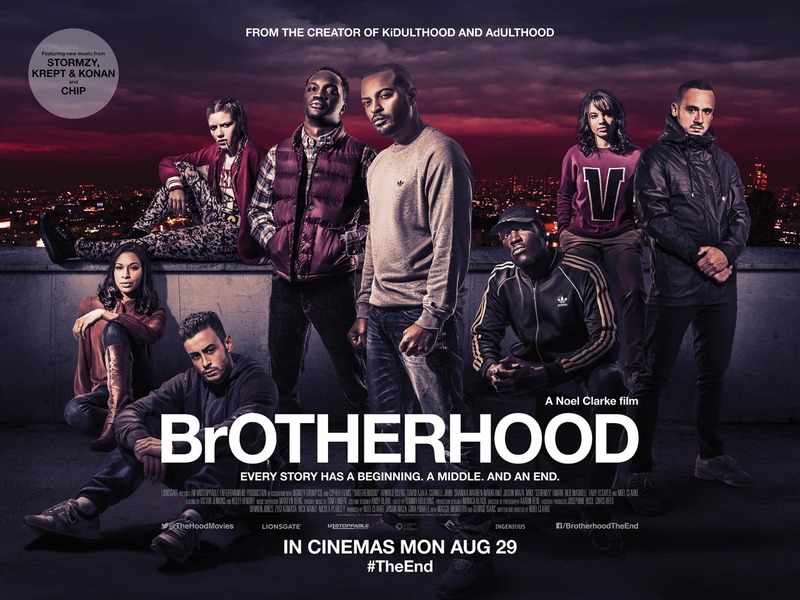 This may not be a great way to START a movie preview, especially a U.K. movie preview but…I’ve not watched any of Noel Clarke’s “…Hood” Trilogy which is comprised of 2006’s ‘Kidulthood‘, 2008’s ‘Adulthood‘ and now ‘Brotherhood‘. I couldn’t tell you anything about them but they are definitely on my “To Watch” list because Noel Clarke is a great talent and is one of few British, homegrown directors attempting to make genre-fare in this country such as ‘The Anomoly‘ and ‘Storage 24‘. Both of those films have their issues, but you can’t fault their narrative ambition in a country that seems content keeping genre-material to the small screen. I’m not qualified to comment on this trilogy, but I’m looking forward to binge-watching the whole thing in the very near future. Woody Allen films seem to come across as an anachronism now. Allen was one of the most prominent screenwriters of the late-70s all the way through to the 90s. However nowadays his movies, while generally arriving with critical acclaim, show up with very little fanfare and don’t make the long or short term splash that they used to. While 2013’s ‘Blue Jasmine‘ was a success and netted Cate Blanchett an Academy Award, his follow-ups ‘Magic in the Moonlight‘ (ridiculed now for its almost 30-year romantic age-gap story) and ‘Irrational Man‘ were not comparatively as well received. 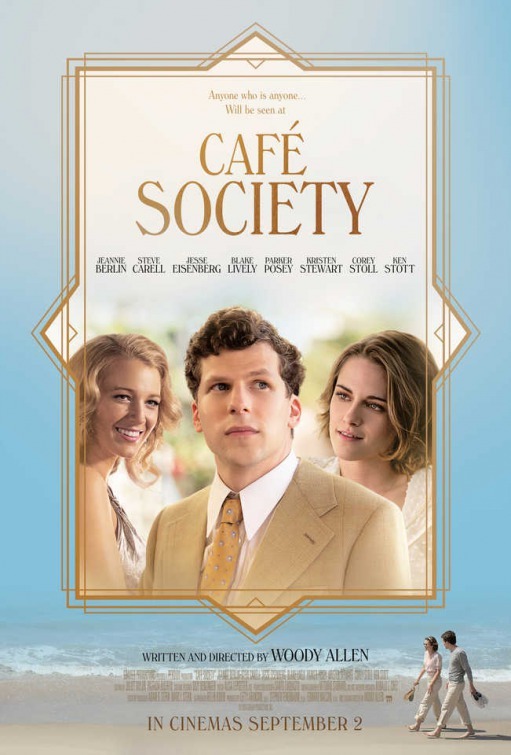 Now we have ‘Café Society‘ which is set in the 1930s and follows Jesse Eisenberg who falls in love with Kristen Stewart and gets swept up in the vibrant New York nightlife. Reviews, while not glowing, have praised the movie as a pleasant time, if predictable. I imagine that it’ll cater to Woody Allen fans but in such a competitive month I can’t personally muster up much enthusiasm for it. As technology and science progresses further and reaches new heights one day we’re going to have to deal with artificial life or artificial intelligence and the moral quandaries that come with it. Recent films like ‘Splice‘ and ‘Ex_Machina‘ have dealt with this topic and it’s in that vein we find ‘Morgan‘. The themes are hardly new but the director is; Luke Scott, the son of Ridley Scott is making his directorial debut and that’s one of the reasons this film has been able to stand out. 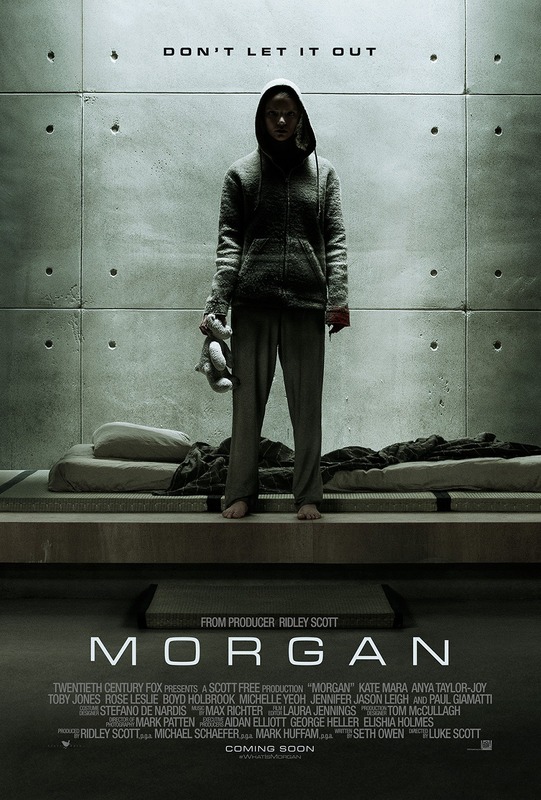 We also have great on-screen talent such as Kate Mara, who is a risk-assessment specialist who is sent to assess the potential threat level of an artificial human; Morgan, played by Anya Taylor-Joy. Jennifer Jason Leigh, Toby Jones and Paul Giamatti also round out the supporting cast. While the initial marketing effort from 20th Century Fox caught many eyes, that marketing momentum seems to have run out with the movie being a huge box-office bomb as well as not receiving very positive reviews. It’s an interesting idea, but it might be better to just watch ‘Ex_Machina‘ again. And people say Hollywood don’t make original films anymore (despite the last three movies in this preview being original but hey). 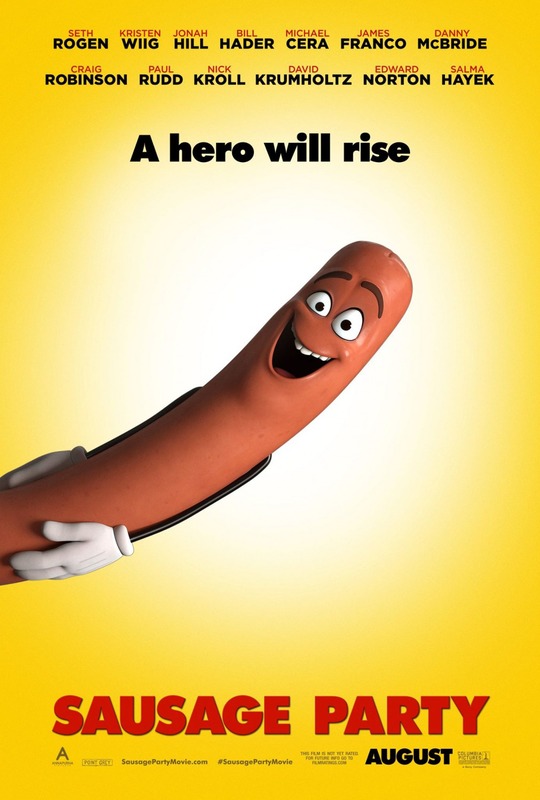 ‘Sausage Party‘ comes from the stoner-comedy creative team that brought you ‘Pineapple Express‘, ‘This Is The End‘, ‘The Night Before‘ and almost ‘The Interview‘ and follows the premise…what if food were alive and had feelings…and how effed up would that be? An attention-grabbing Red-Band trailer got the hype-train moving and even a controversy surrounding almost half the animators not being credited for their work as well as their poor working conditions couldn’t stop the film’s box-office success and great reviews. And this stoner, shock-comedy animated film also has great pedigree with its voice talent such as Seth Rogan, Michael Cera, Kristen Wiig, Edward Norton, Nick Kroll, Bill Hader, Paul Rudd, Salma Hayek and more. But while the trailers have been funny and the crew’s pedigree works for the type of audience they’re aiming at is ‘Sausage Party‘ just a one-joke premise? We’ll find out, but it’s always refreshing to see adult-animated fare reach the mainstream. 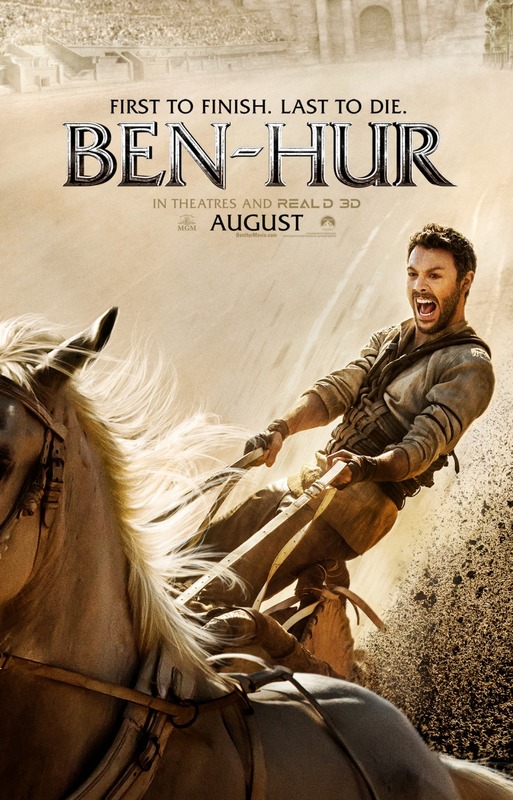 Our original streak ends with the lowly-anticipated ‘Ben-Hur‘ remake from Paramount Pictures. A remake that nobody was asking for and that we certainly didn’t need. But I guess because Ben-Hur wasn’t gender-swapped and busting ghosts that nobody wanted to get worked up about it. Anway, based off the 1880 Lew Wallace novel which was made into a film in 1907, 1925 and of course a 1959 adaptation which won 11 Academy Awards this new version doesn’t come with much prestige despite the subject matter as we have the director of ‘Wanted‘ and ‘Abraham Lincoln: Vampire Hunter‘ Timur Bekmambetov and while it has a cast of talented actors including Jack Huston, Toby Kebbell and Morgan Freeman they’re hardly names that seem to justify remaking this material. The trailers have been poor, nobody wanted this and despite the reviews not being wholly negative this has already become the biggest bomb of Summer 2016 in the States. There’s not much more to be said here in regards to previewing ‘Ben-Hur‘. 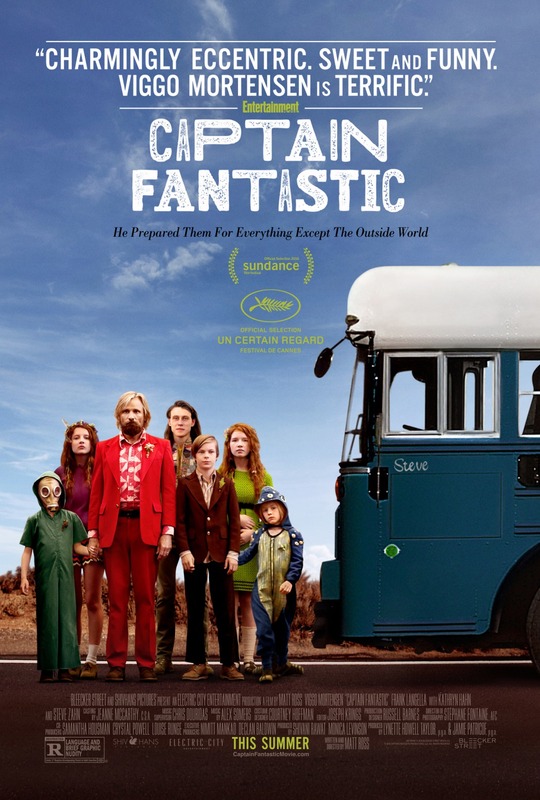 And we’re back to another original film (no but please tell me how EVERYTHING is a sequel or a remake nowadays) with ‘Captain Fantastic‘. This indie/festival-darling was directed by Matt Ross and follows Aragorn himself Viggo Mortensen as a father who is raising his children alone after their mother was hospitalised with bipolar disorder. Mortensen’s character has been raising their six children off the grid in the woods but circumstances beyond their control force the family to reintegrate into society after spending most of their lives alone. It’s a premise that’s full of potential pathos but also a lot of humour and the marketing campaign has not shied away from that. It looks like quirky festival bait, but I think there’s something more to this idea and the younger actors look like great young talents as well. This could be one to watch, especially for those who want something to wash away the bloated taste of summer. Mainstream horror has hit hard in 2016 with the success of ‘The Witch‘, ‘10 Cloverfield Lane‘, ‘The Conjuring 2‘, ‘The Shallows‘, ‘The Purge: Election Year‘ and ‘Lights Out‘. Now we have another one to add to that list with ‘Don’t Breathe‘ which comes from ‘Evil Dead‘ director Fede Alvarez. The premise involves a trio of delinquents who break into a home belonging to a blind man played by Stephen Lang in order to steal a massive amount of cash rumoured to be there. However, things quickly turn sour when the blind man is revealed to war vet with a talent for violence and is able to use his heightened senses and knowledge of his own home to track down the youths and attempt to kill them. The trailers look great, the premise is awesome and original, the talent is there and let’s not forget how awesome Alvarez’s remake of Sam Raimi’s ‘The Evil Dead‘ was (Raimi is also acting as a Producer on ‘Don’t Breathe‘). The reviews have been great as well and it’s so awesome to see non-found-footage horror being rewarded with financial success. 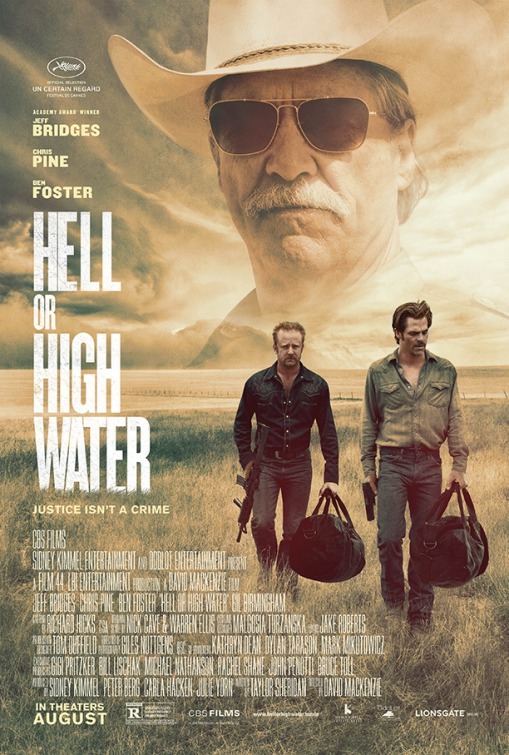 It’s hard to find another movie this month with more talent involved than ‘Hell or High Water‘. We have the director of ‘Starred Up‘ David Mackenzie, the writer of ‘Sicario‘ Taylor Sheridan and also actors Chris Pine, Ben Foster and Jeff Bridges. That’s some great talent for what looks to be, on the surface, just another heist/modern-western movie that was picked up from the 2012 Hollywood blacklist. However, reviews have been almost universally glowing and we have what is considered to be the first big Oscar-contender to get a theatrical release in 2016 (basically a movie that hasn’t left the festival circuit yet). And while this article is just meant to be a preview for the movies being released this month, I was actually able to attend an early screening of this movie and…believe the hype. LAIKA Animation have proven themselves in recent years to be the current king of stop-motion animation. 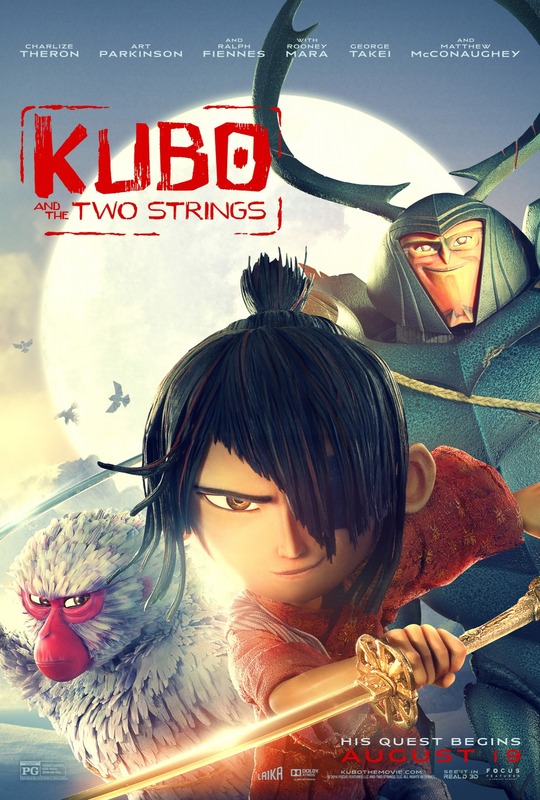 With modest hits like ‘Coraline‘, ‘Paranorman‘ and ‘The Boxtrolls‘ under their belt we have their first attempt at a full-blown action epic with ‘Kubo and the Two Strings‘ which follows a young boy’s quest to defeat evil spirits with the help of a talking warrior monkey and a samurai beetle. This company makes weird, but wonderful movies. The trailers have been great, the animation looks breathtaking, the voice talent is great and the reviewers have been calling it the best animated movie of 2016. This is a movie I’ve been waiting for since the moment it was announced and to see that it apparently lives up to expectations makes me even more excited to see this fable unfold. As a huge fan of the Beatles, this is a documentary that excites me. Back in the 1960s, the Beatles were bigger than Jesus, often over-selling massive stadiums during live concerts, their music fading into the background behind the roaring screams of their fans and pandemonium in the streets whenever they appeared. 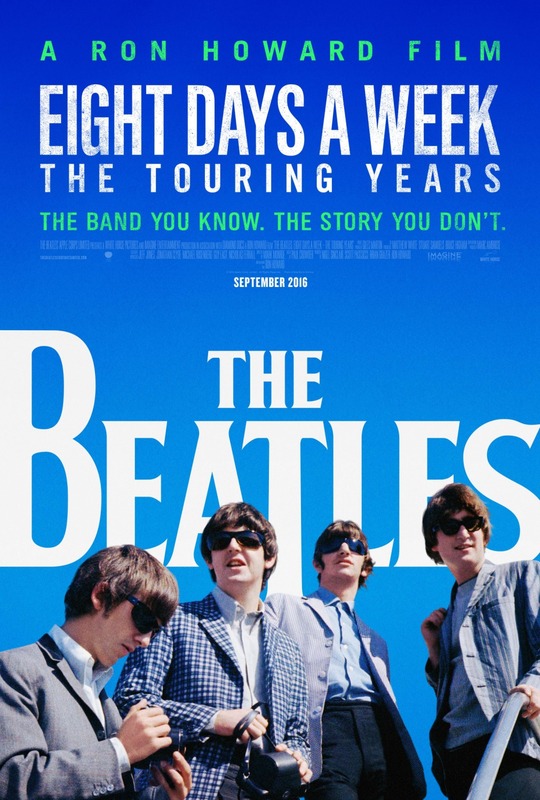 In this documentary, Ron Howard aims to bring modern audiences back to that time while surviving Beatles Paul McCartney and Ringo Starr along with the widows of the remaining members Yoko Ono Lennon and Olivia Harrison give interviews describing The Beatles’ transition from four mop-haired boys from Liverpool playing sell-out shows to them retreating into the Apple Studios and changing their sound. The documentary itself already sounds like essential-viewing for Beatles fans but the numerous distributors of the film have gone all-out to make it a theatrical experience by including 30-minutes of remastered footage of the Beatles performing in the 60s that is exclusive to the theatrical cut. The distributors actually had to fight off a lawsuit in order to claim ownership of the footage. Reviews are positive, but this feels like a documentary that will preach to the choir and there’s nothing necessarily wrong with that. But those who aren’t fans of the fab-four may want to give this a skip. As much as I hate the found-footage sub-genre of horror, I do have a modest amount of respect for where its mainstream roots came from. 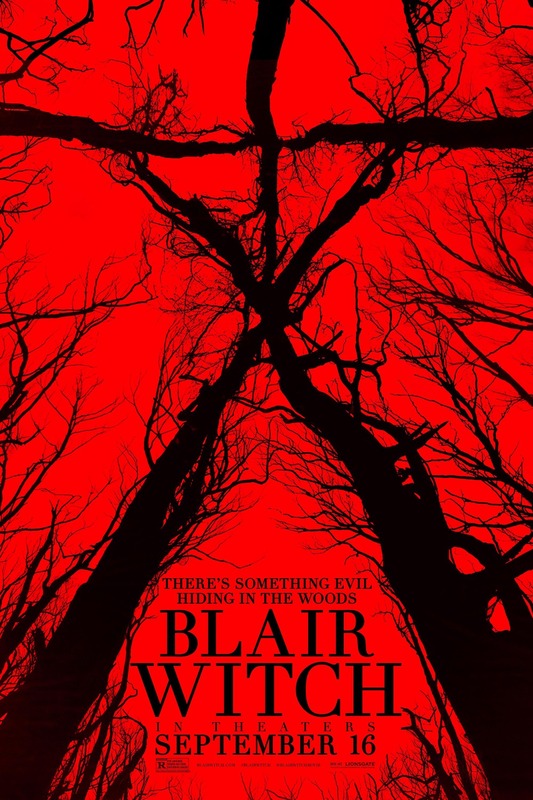 Essentially a student-project, Daniel Myrick and Eduwardo Sánchez used the viral marketing potential of a 1990s early-internet to catapult ‘The Blair Witch Project‘ into the public consciousness. The movie itself is still pants, with so much inactivity and unintentional humour that my partner actually calls it “the funniest horror movie” that she’s ever seen, but for a zero-budget student project from the 90s I do have respect for it. This remake/sequel actually had its own interesting marketing campaign as well. For over a year there have been reports of a found-footage horror movie called ‘The Woods‘ but back at Comic-Con it was revealed to be a follow-up to ‘The Blair Witch Project‘. Early screenings rode this surprise hype and the movie stood at 100% on RottenTomatoes for a time. However, after that hype died down and other critics got to view it that score has now settled to the mid-30s and most critics have slated it for being a beat-for-beat remake of the original despite being a sequel. Kinda like the 2011 remake of ‘The Thing‘ which is technically a prequel to John Carpenter’s original but is just a remake. I have little hope for any found-footage horror movie but the fact that this movie is apparently a flat-out retread just kills any potential enthusiasm I could have had. People tend to forget how big the original ‘Bridget Jones’s Diary‘ movie from 2001 was despite how much controversy was surrounding the casting of American Renée Zellweger as the British Bridget Jones. The movie was a huge box-office hit, its soundtrack was a massive success and it also spawned a poorly reviewed but still commercially successful 2004 sequel as well as an upcoming stage-musical adaptation. While fans have barely been clamouring for a continuation of Bridget’s story, it does feel like she has been part of the British public consciousness for the past 15 years. But now the director of the original ‘Bridget Jones’s Diary‘, Sharon Maguire returns to round-off the trilogy which sees Bridget getting pregnant but with no idea who the father is. It’s either Colin Firth’s Mark Darcy or Patrick Dempsey’s Jack Qwant and Bridget has to choose who she wants to be with but that might not align up with who is the actual father. The critical reaction is on-par with the original with fans of the franchise responding very well to ‘Bridget Jones’s Baby‘ and it’s also an interesting landmark in filmmaking as the Bridget Jones’ franchise is the second movie trilogy of all-time to have all-female directors (the first is ‘The Matrix‘ trilogy). 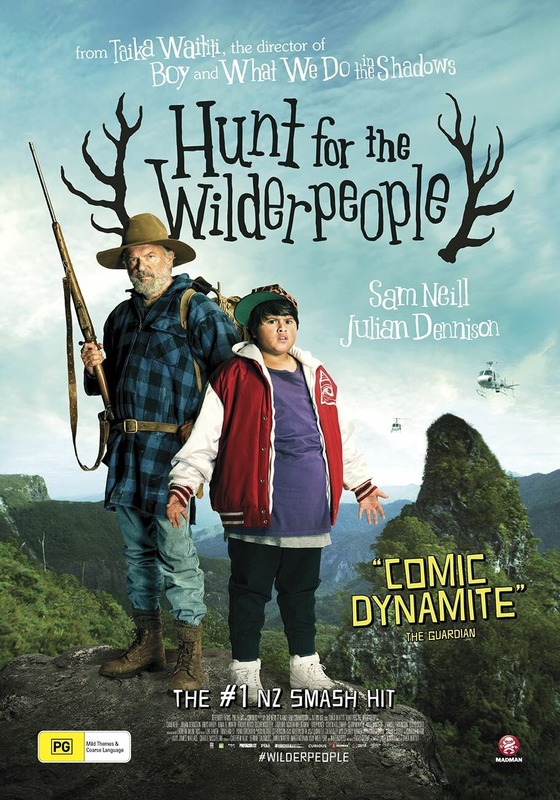 Another original release to look out for, we have ‘Hunt for the Wilderpeople‘ which comes from ‘Boy‘, ‘What We Do In The Shadows‘ and ‘Thor: Ragnorok‘ director Taika Waititi. The movie is set in New Zealand and follows a juvenile delinquent played by Julian Dennison who is sent by child services to live in the countryside with a foster family. However when his foster mother dies he runs away into the forest with his foster father played by Sam Neill in pursuit, but the authorities come to the conclusion that Neill’s character is deranged and has kidnapped the boy which starts a nation-wide manhunt. The premise sounds really fun and if you’ve seen any of Waititi’s filmography (seriously, ‘What We Do In The Shadows‘ is on U.K. Netflix right now and it’s one of the best horror-comedies ever made) then you’ll know that this guy has a real sense of fun as well as a big heart as a storyteller. The trailer is really funny (the “Sarah Connor” line kills me every time) and there’s a reason this became the most successful local movie of all time in New Zealand. Coming from ‘The Lincoln Lawyer‘ and ‘Runner Runner‘ director Brad Furman we look set to have a stylish and polished looking crime story at worst, but with Bryan Cranston in the lead role as Robert Mazur with Diane Kruger, Benjamin Bratt and John Leguizamo also joining the cast, we could have a darkhorse awards-contender. 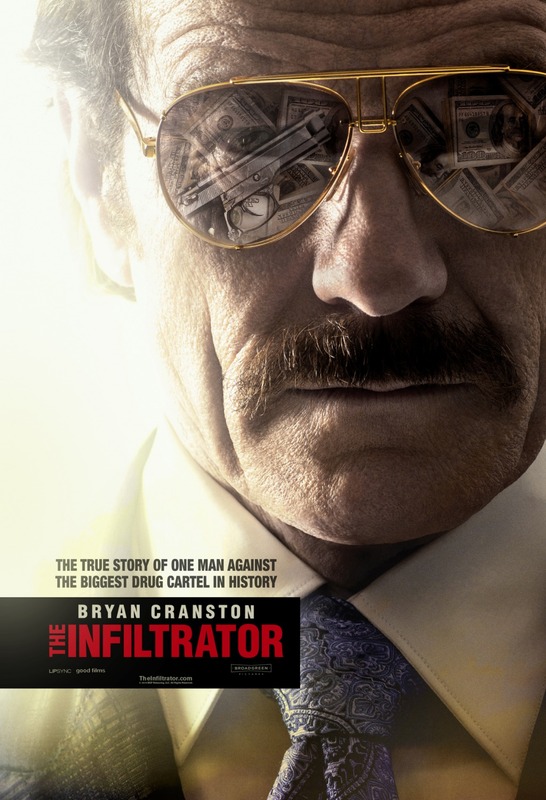 This looks like a solid crime drama based off one of the biggest crime stories of the 1980s. I’m not entirely sure why Hollywood keeps allowing Rob Zombie to make movies, mainly because it feels like over the past 10 years he’s made the exact same movie over and over again; angry rednecks kill/torture people while swearing profusely. But when Zombie announced that he was partially crowdfunding his new film ‘31‘ then I got curious as to what new and original concept he’d like to get across that could ONLY be done through crowdfunding. The the first trailer dropped and…it’s a movie about a group of angry rednecks killing and torturing people whilst swearing profusely. It just feels like Zombie is trying way too hard to shock and is just throwing a bloodied, swearing kitchen sink at the cameras. Not really interested here. 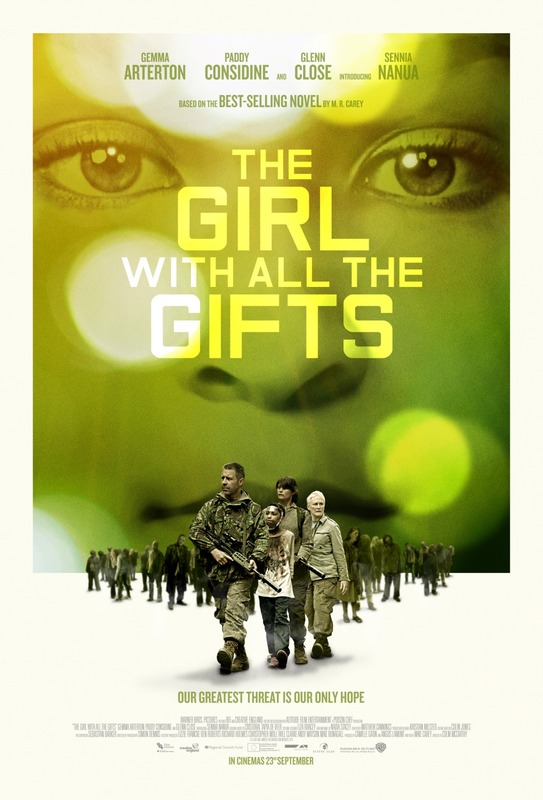 Just when you think the young-adult or zombie sub-genres have run out of ideas along comes a concept like ‘The Girl With All The Gifts‘ which adds children to the mix. Based off the 2014 book of the same name by Mike Carey, ‘The Girl With All The Gifts‘ takes place in a post-apocalyptic near future where zombies have taken over and scientific experiments are taking place inside a huge compound filled with survivors. There are a group of infected children who crave flesh but retain their intelligence and the titular girl is Melanie played by newcomer Sennia Nanua who befriends a teacher at the compound played by Gemma Arteton. Paddy Considine and Glenn Close round out the U.K. Production. I’m quite intrigued by this film and not just because of it’s British Production but because the morality involved in zombie-fare can change when children are involved. The trailers look disturbing at points and I’m a fan of all the talent involved including director Colm McCarthy who directed ‘Doctor Who: The Bells of Saint John‘, ‘Sherlock: The Sign of Three‘ and episodes of ‘Peaky Blinders‘, ‘Ripper Street‘ and ‘Spooks‘. This could be an effective horror alternative this month. In this current political climate it seems that white-supremacy is the new black. So a movie like ‘Imperium‘ is coming out at just the right time. Daniel Radcliffe plays Nate Foster, an F.B.I. Agent who is tasked with going undercover with a group of neo-nazi, white supremacists in order to identify a potential terrorist threat. But in order to do that he needs to immerse himself in the culture and blend in with a group of skinhead racists. Director Daniel Ragussis is making his directorial debut here and it’s dealing with very strong and sketchy subject-matter so kudos to him. Whether or not this will actually find an audience remains to be seen but the reviews have been very positive so far and it’s interesting to see what Daniel Radcliffe is up to in a post-Potter world. 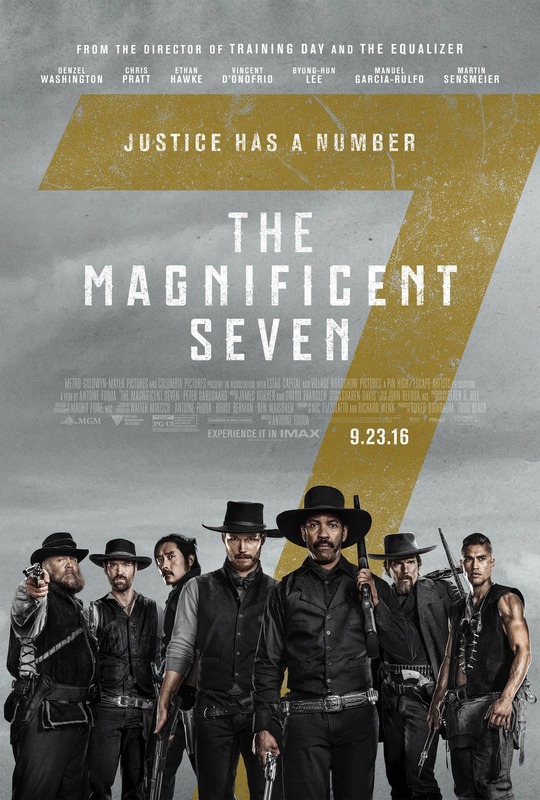 Another remake that no one seems to have gotten worked up about, ‘The Magnificent Seven‘ much like ‘Ben-Hur‘ also has a precedent of being remade, just not as explicitly. The Japanese Historical 1954 epic ‘Seven Samurai‘ was remade in 1960 as ‘The Magnificent Seven‘ and it was remade AGAIN in 1998 and called ‘A Bug’s Life‘. Now we have ‘Training Day‘, ‘King Arthur‘, ‘The Equalizer‘ and ‘Southpaw‘ director Antoine Fuqua tackling the material about about a small town under siege and it’s up to a diverse group of badass movie-stars to save the day. This version of the seven are comprised of Denzel Washington, Chris Pratt, Ethan Hawke, Vincent D’Onofrio, Byung-hun Lee, Manuel Garcia-Ruflo and Martin Sensmeier fighting against Peter Sarsgaard’s representation of colonialism…or something like that. Fuqua seems tailor-made for this sort of remake and this is the perfect type of big-budget September release which isn’t big enough for Summer but has the talent and the genre-baggage to work in early awards season. This looks like a fun, action-packed remake and I’m looking forward to it. Back in 2010 there was a massive oil-spill in the Gulf of Mexico often referred to as the “BP Oil Spill”. It’s estimated that 210 million gallons of oil were leaked and BP agreed to pay $18.7 billion in fines making it the largest corporate settlement in U.S. history. However while there was a lot of publicity surrounding BP’s infamously terrible series of apologies after the fact, it’s also worth remembering the epicentre of the incident; the oil rig known as Deepwater Horizon. ‘Hancock‘, ‘Battleship‘ and ‘Lone Survivor‘ director Peter Berg aims to put audiences in the middle of the oil rig explosion and portray the everyday men and women involved in the incident. 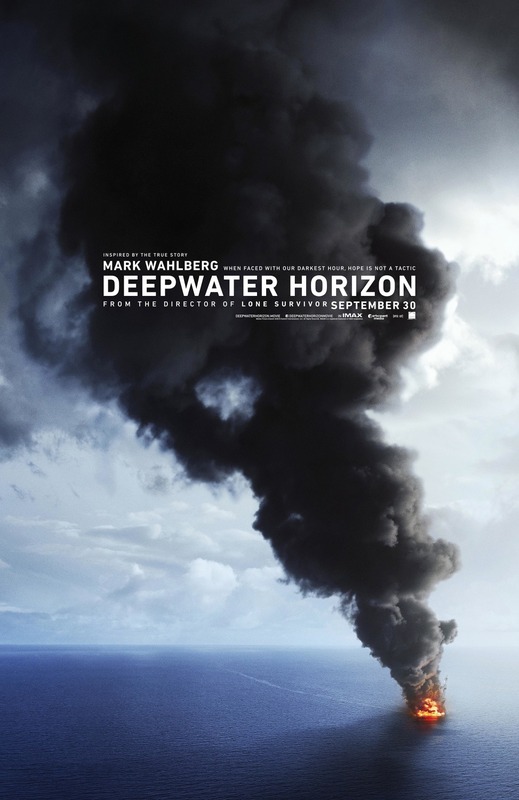 While I’m not particularly interested in the cliché “man needs to get back home to his wife and daughter” story that seems to be at the heart of ‘Deepwater Horizon‘, the big-screen spectacle of the event alone has me excited to see this. Not to mention Kurt Russell who can do no wrong. Despite a turbulent run over the past few years with ‘Planet of the Apes‘, ‘Charlie and the Chocolate Factory‘, ‘Alice in Wonderland‘ and ‘Dark Shadows‘, Tim Burton has had a slight comeback thanks to tackling original or biographical material with ‘Frankenweenie‘ and ‘Big Eyes‘. 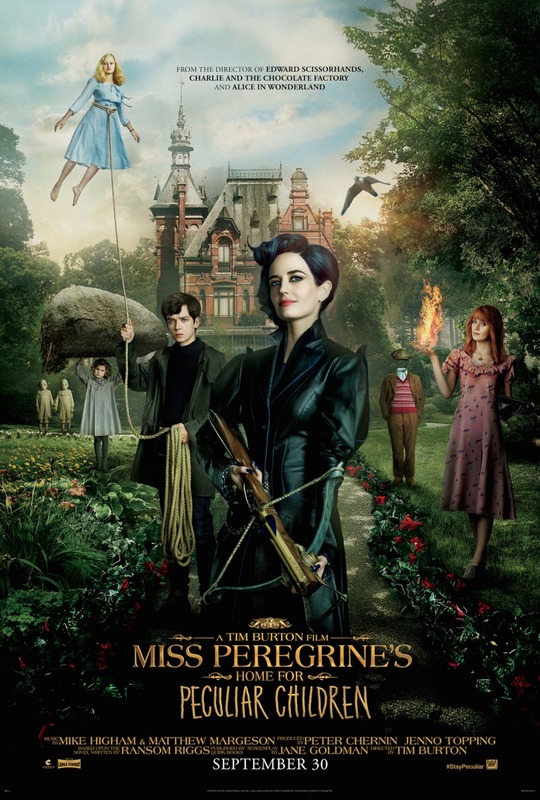 However, despite all better judgement, Burton’s next movie and his biggest film in 6 years is another adaptation by adapting Ransom Riggs’ “Miss Peregrine’s Home for Peculiar Children” novel. But that’s the way the dice have fallen and for what it’s worth, this looks like a fun and solid book adaptation. We have great actors on board with Eva Green, Asa Butterfield, Samuel L. Jackson, Chris O’Dowd, Judi Dench and more inhabiting a very inventive world. The marketing has done a great job showcasing the titular children but as to what the actual plot is…not a clue. This movie could go either way, but hopefully Burton will be able to get out of his adaptation-slump. I think that predicting Oscar-contenders an entire year in advance is a stupid thing to do. I don’t think that’s an unreasonable stance and movies like ‘Free State of Jones‘ make me feel quite vindicated in that belief. 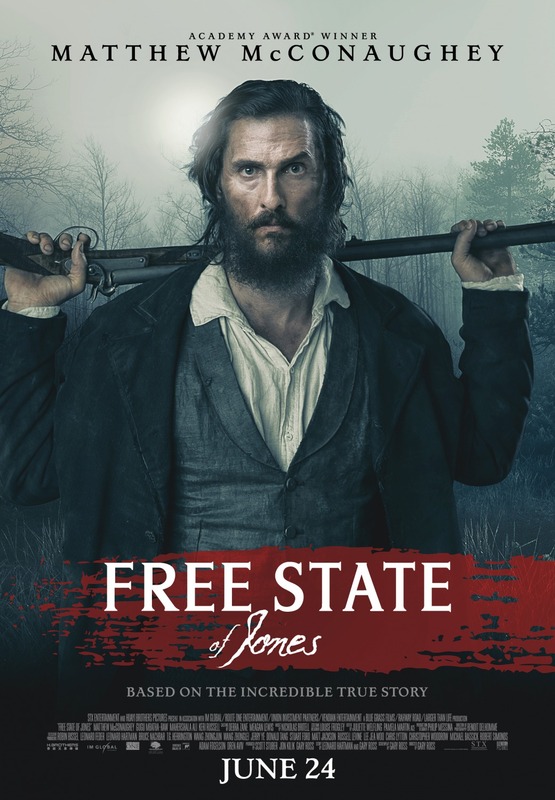 At the beginning of 2016 this movie was thought to be an Oscar-frontrunner (bare in mind, this was months before the Oscars for the previous year had taken place) thanks to its portrayal of real-life confederate deserter Newton Knight in the 19th century by Academy Award winner Matthew McConaughey. It also comes from Oscar-nominated director Gary Ross. What could go wrong? Well, after countless delays and push-backs ‘Free State of Jones‘ was released in the States this past Summer to poor reviews and a weak box-office. It may be a compelling true story but apparently it’s an underwhelming theatrical experience. 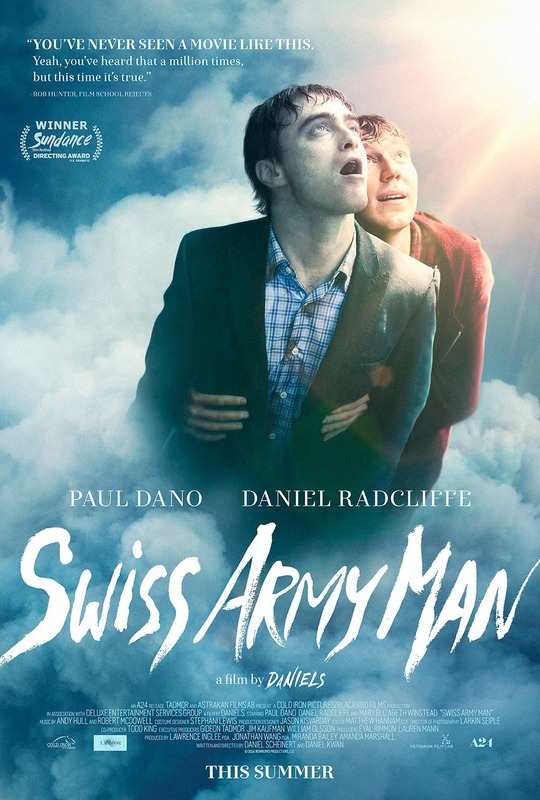 ‘Swiss Army Man‘, a.k.a. “the farting corpse movie”. 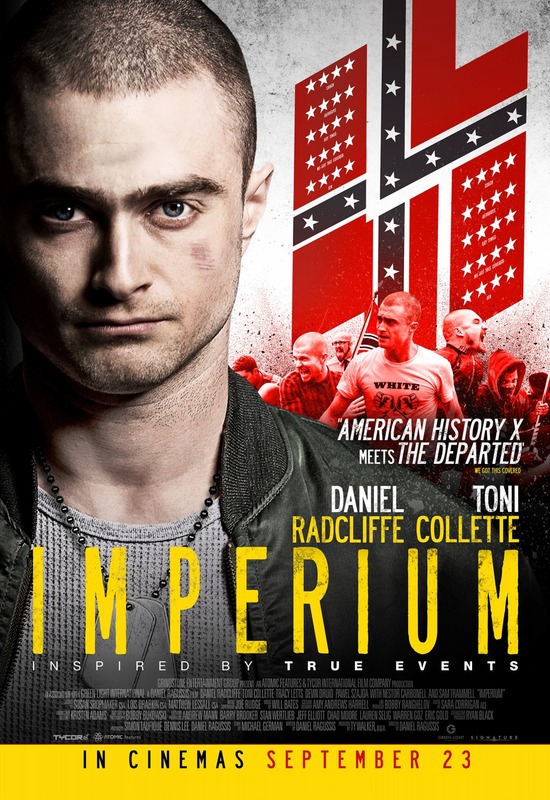 Just like the aforementioned ‘Imperium‘ it’s interesting to see what Daniel Radcliffe is doing in his post-Potter career. In ‘Swiss Army Man‘ Paul Dano plays a man stuck on an island about to hang himself before he finds a corpse washed-up on the beach. The corpse is Daniel Radcliffe who is somehow able to communicate with Dano who plans to use its strange abilities (including flatulence) to escape and survive on the island. You’ve got to do ALLLLLL the cocaine to think of an idea like that. This looks really novel and funny and it was apparently very divisive at many of the festivals it played at so it MUST be good, right? Just watch the trailer and see it…but I can’t guarantee that you’ll actually believe it. My god what a lengthy preview. This might actually be the longest one I’ve ever written with the most amount of movies. With so much Summer and Oscar competition it would seem that September is filled with potential heavy-hitters both big and small, filled with original-fare that many people will refuse to see and then complain that Hollywood doesn’t make original films anymore. Anyway folks, what are you all looking forward to this September? Are there any other releases that I missed that you can’t wait to see? Be sure to sound off in the comments section below!